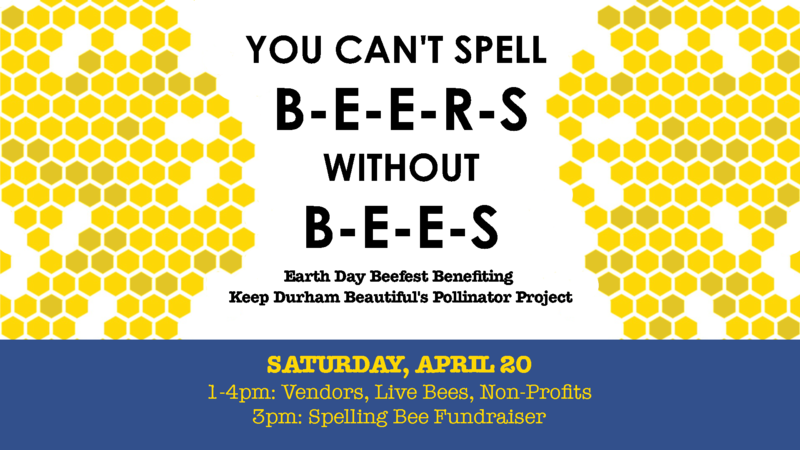 To celebrate this year’s Earth Day theme of 'Protect our Species,' we’re throwing an all-out bee-fest with honey beer, bee-related vendors & non-profits...and a spelling bee with a twist. If you fit the above description, sign up here to spell for the bees. *$25 is the cost of three pollinator plants. If you can’t make it to the event and would like to make a donation, click here. Please include You Can't Spell BEERS without BEES and the name of the contestant you’re sponsoring (if applicable) under 'Your Note for the Donor Scroll.' Donate here.